Night before last I steamed up Millie for the first time. 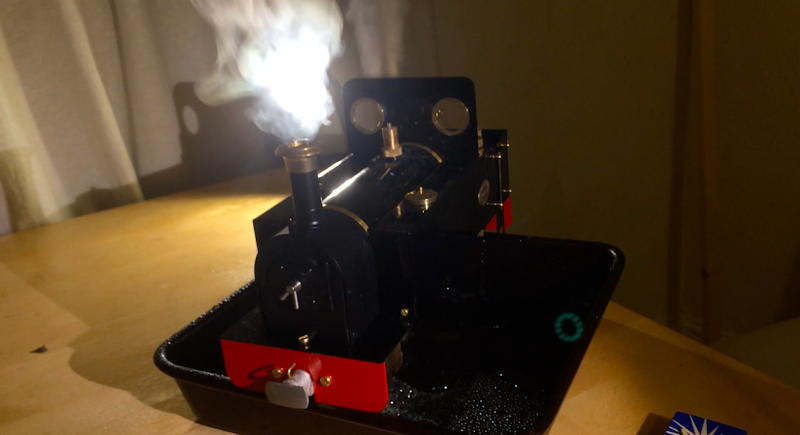 I think it counts as a success – I managed to raise steam and run her on blocks for over 25 minutes. I recorded the process for posterity (well, mostly to help me recollect the steps next time, when she’ll be going for a test run in the garden). The whole process took about 70 minutes in all (including going to the shop for matches). Hopefully I’ll get a bit faster at the prep. I’ve condensed the video down but I’m afraid it’s still 20 minutes so you might want to skip to 13 minutes if you want to see some steam and the wheels going round!